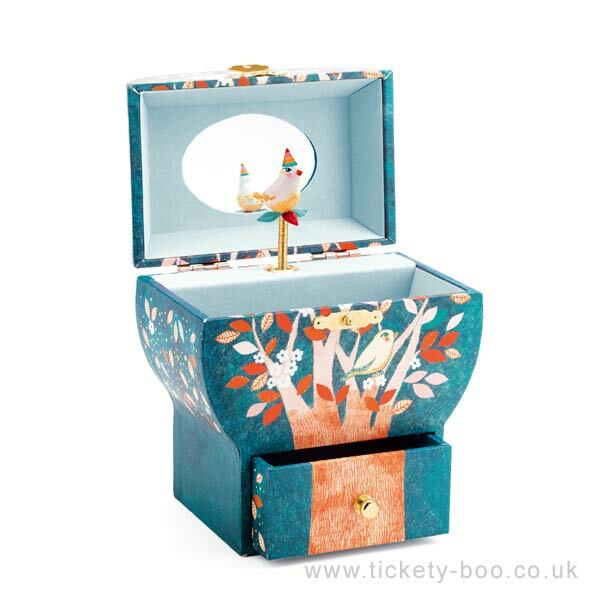 A wonderful tree shaped musical box featuring a little drawer at the bottom, lift the lid to see the dancing bird. 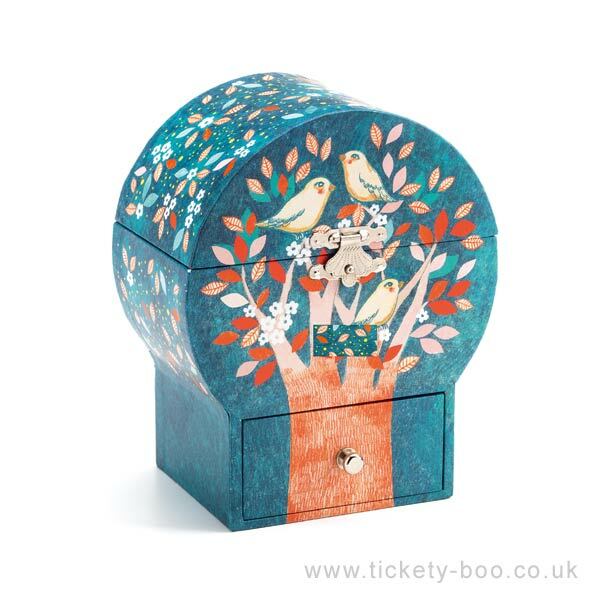 A quality music box that is sure to be treasured for years. Just turn the crank, open the box and it comes to life. This item is not a toy and should be kept out of reach of young children.